Are you experiencing excessive pain in the eyes and vision problems? You might be a victim of Narrow Angle Glaucoma (NAG). Read on to find out more about the causes, symptoms, diagnosis and treatment of this eye disorder. 1 What is Narrow Angle Glaucoma? It is a type of acute glaucoma that occurs unexpectedly as fluid gets deposited behind iris. This building up of fluid leads to a sudden and dangerous rise in intraocular pressure, which may lead to a major eye emergency situation. Unless treated in time, acute NAG may even lead to permanent blindness. On many occasions, the symptoms of NAG are not immediately apparent, thereby making it difficult for the patient to understand he or she is having vision difficulties. NAG is also known as Closed-angle glaucoma or Angle-Closure Glaucoma. The anterior chamber is located at the front portion of the eye. Some individuals have got a shallow anterior chamber, which narrows the angle of the eye. 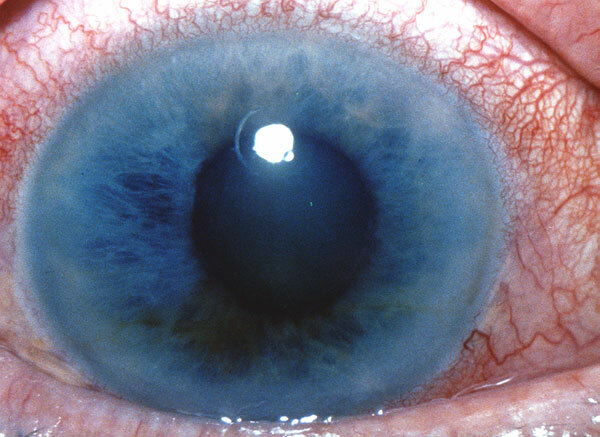 In such cases, dilation of the pupil can close off this angle which can get the iris constricted. The iris can occasionally close the angle of the eye by dilating in some dark room. 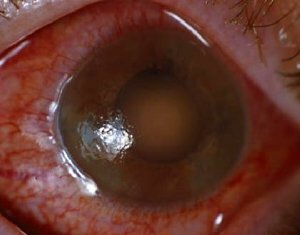 Certain inflammatory diseases can make the anterior chamber very sticky. This causes the back of iris to attach itself to the lens. This can cause eye fluid to allocate at the back of the eye and push the iris forward, thereby closing off the ocular angle in a process which is known as pupillary block. Other health conditions such as severe diabetic eye diseases, hyperopia and tumors can also lead to NAG. As people grow older, there is an increase in the size of the lens inside the eyes. This increases the risk of pupil block. The anterior chamber also becomes increasingly shallow. With age, the angle of drainage also gets narrower. The anterior chamber angles of Asians, the Inuits as well as other northern indigenous tribes are comparatively narrower than the white people. As a result, these people are more prone to be affected by NAG. Caucasian women are three times more affected by narrow angle glaucoma than men. African-American men and women seem to be equally affected by this eye disorder. Apart from the above mentioned risk factors, cataracts can also thicken the eye lens by pushing the iris forward and thereby leading to pupillary block. Due to the rapid rise in eye pressure within a short period of time, most patients experience the following signs and symptoms. The symptoms may come and go, with intermittent periods of normalness. The difficulties intensify in case of acute NAG. The following tests are done to diagnose cases of NAG. Tonometry, a painless procedure which measures the intraocular pressure of the patient’s eye by numbing the eyes with drops. Check-up of the fibers of the optic nerves, to detect any possible damage which may indicate the onset of glaucoma. Visual field test, which is conducted to determine the peripheral vision of a patient. Pachymetry test, to measure the thickness of the cornea. Tonography test, to measure the drainage of fluid from the eyes. Gonioscopy test, to distinguish between open angle glaucoma and narrow angle glaucoma. In this test, a lens is put on the eye for inspecting the drainage angle. The prime objective of treating NAG is reducing the intraocular pressure as quickly as possible. A doctor can prescribe systemic medications, which can be taken orally or intravenously. A patient may also be required to use topical eye drops to treat this form of glaucoma. NAG is also treated by a procedure known as Peripheral iridectomy or Peripheral iridotomy. This process involves creating a small hole in the iris through laser surgery to allow the eye fluid to move easily to drainage site. 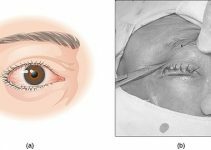 Peripheral iridectomy is commonly performed in a doctor’s office on both the eyes. This is because the risk of development of this condition is very high in both the eyes. Certain nonprescription medications can aggravate the chances of developing the symptoms of glaucoma. An individual should consult an eye care specialist before consuming such medications if he or she has a family history of hyperopia or farsightedness and acute narrow angle glaucoma. The outcome is good if the eye disorder is diagnosed at an early phase and treated properly. Uncontrolled NAG may lead to damage of optic nerves and development of secondary glaucoma types. In case of acute NAG, permanent vision loss may occur if the symptoms are not dealt with immediately. Narrow Angle Glaucoma can cause excessive pain in the eyes, blurred vision and even loss of eyesight in some extreme cases. However, such complications can be avoided with timely diagnosis and proper treatment.